If your Frisco plumbing system is making strange noises or is running weakly or not at all, it may need professional repair. Whether a component needs replacement or sealing, sometimes a new install makes sense. When you need a Frisco plumber to help determine the source of the problem and provide you with a solution, you can count on us. Should I repair my old water heater or replace it? With a minor malfunction, this may not be an issue. But if the repair needed is significant and your unit is older, you may actually save money by buying a new energy-efficient unit. Need a Frisco plumber to make recommendations based on the remaining life in your unit? We’re happy to share our opinions based on years of experience. We are experts at both repair and installation and will be happy to provide you with whichever solution that you decide on. Our goal is to provide residents of the Dallas area complete satisfaction. Water heater repairs can be quite costly. We try to keep the expense down, but if your water heater is over 8 years old, you might want to consider replacing it now with a newer and more efficient model, rather than when it fails or malfunctions. Not doing so may cause you more problems and more money out of your pocket in the long run. Your home and business plumbing is not something you want to trust to just anybody. Turn to your expert Frisco plumber for service and reliability every time. You can rest assured knowing your Frisco plumbing issue will be addressed properly and quickly. For a professional commercial or residential Frisco plumber, call today at (972)332-3926! Are you adding a new addition to your home or business? Are you installing a gas appliance in a new location? 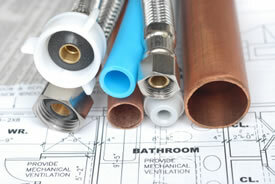 Frisco plumbing can help with gas line repair or new line installation. Your Frisco plumber is ready to get your job done. Gas leak detection is critical to all homeowners supplied with natural gas. The most obvious test is if you smell natural gas in or around your home. All natural gas has an additive that gives the distinctive rotten egg smell. Otherwise, natural gas is odorless. Other signs of a gas leak are dark stains on the gas line at or near a fitting. Leaking natural gas is never something that should be ignored. If you suspect a leak, call us to dispatch one of our Frisco plumbers to diagnose your gas lines right now. Are you thinking about installing a new gas line in your home? Caution! Altering or working on gas lines in any manner is potentially very dangerous. Please do not do something if you are in the least bit unsure of how to do it. Under no code in the United States is it ever legal to alter a gas piping system without a permit from your local building department. For the safety of you, your family and your home, you may want to consider hiring a qualified Frisco plumber to take care of the work. Gas logs are growing in popularity every year, so manufacturers have geared-up to offer a wide selection of appliances. It's important to understand the differences between vented and vent-free units before you buy a gas log fireplace. A vented gas log will typically burn with a natural yellow flame while a vent-free unit is designed to burn with nearly complete fuel consumption and a blue flame. There are several great reasons to fuel your outside grill with natural gas rather than propane. The first is no more gas tanks to refill or exchange — which means never running out of gas in the middle of that very expensive steak. The second is cost. A BTU of natural gas is much cheaper than propane. Most grill manufactures sell conversion kits. It just takes a simple gas line extension and you will be ready for many years of trouble free outdoor cooking. Call us today for the expert in Frisco gas line service. 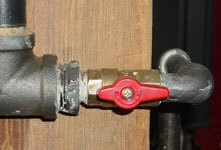 A leak in your gas lines may not always be obvious. As part of your home’s routine maintenance, you may want to consider a gas line pressure test. The cost of this simple test can certainly be justified in the safety and security of your family. Call us today to discuss a gas line pressure test. 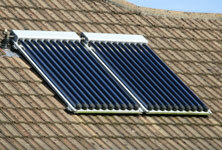 Solar Water Heaters are a fairly new innovation in efficiency and resource conservation. They generally involve attaching a solar collector to the roof which heats the water. The hot water is then stored in an insulated tank for consumption. There are a lot of factors to consider when pursuing solar-heated water including resource requirements and cost efficiency. The US Department of Energy has great information regarding the Economics of a Solar Water Heater. There is never a bad time to discuss how dangerous carbon monoxide is in all homes. Carbon monoxide is generated when fuels are burnt. That is why the winter is especially dangerous because of closed windows and the use of the furnace. Some of the common signs of carbon monoxide exposure are headache, dizziness and nausea. We recommend a complete check of your furnace and Frisco water heater at least once each year. Also, every home in Frisco should have properly installed carbon monoxide detectors through the house.